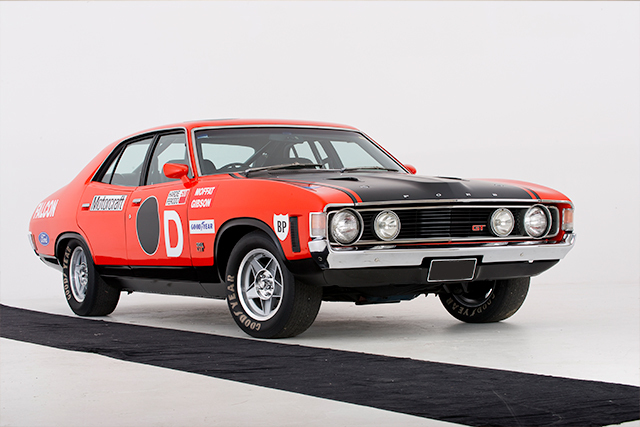 Would you pay $3 million for a 45 year old Falcon? In the far north of Canada, you're more likely to find snowmobiles, quads, Polaris ATVs and the occasional weather-beaten off road motorcycle than a classic Harley-Davidson. On the shores of Hudson Bay in the vast province of Manitoba, the remote outpost of Churchill plays host to around 1000 permanent residents as well as polar bears, belugas and sundry Arctic wildlife. Its marketing label as 'Polar Bear Capital of the World' and one of the foremost locations on the planet for viewing the mesmerising Northern Lights (Aurora Borealis) sees a steady stream of tourists arrive despite there being no roads to the town and a currently non-functional railway. 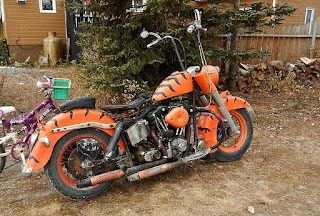 So imagine my surprise when I saw, parked in the driveway of a home in the dusty backstreets of the former Cold War army base, a lurid orange-painted and tiger-striped FLH. Enquiries revealed the owner to be Don Gould and I knocked on his door for some background on this intriguing machine. "I bought it in Quebec in 1982 when I was stationed there," the air force veteran tells me, "It's a 1980 model FLH and yeah, I still ride it regularly, although not so much in the winter!" The yard is littered with building materials and his other projects including an ultralight, gyrocopter and vintage Honda C200. 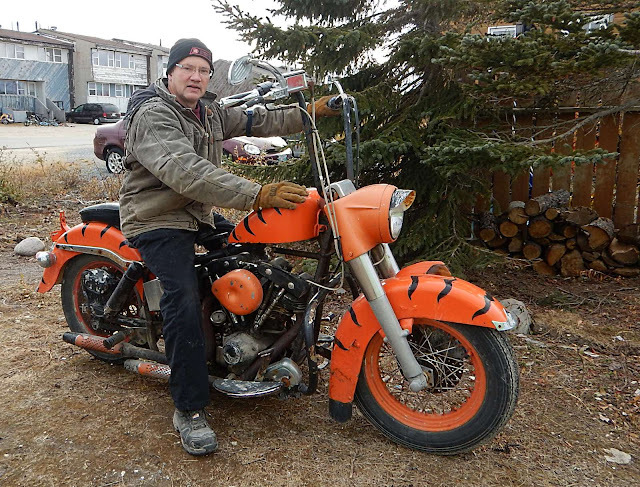 The old Harley is the star of the lot though and even made an appearance (painted red) in the acclaimed 2003 Canadian film, 'The Snow Walker', filmed around Churchill. Don is settled into Churchill now as the tugboat captain for the reopened grain port, so visitors are likely to see the distinctive machine getting around town for a while yet.